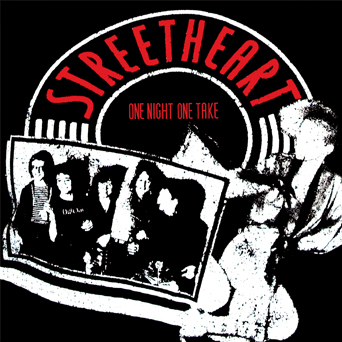 “One Night One Take” from Streetheart’s original founding members Kenny Shields, Paul Dean, Spider Sinnaeve, Matt Frenette and Daryl Gutheil. This set of recordings from their 1993 reunion tour features tracks from their classic album “Meanwhile Back In Paris” along with some of the legendary covers they were famous for. Also featured on 1N1T are two previously unreleased tracks, the powerful “Mr. Tall”, featuring Matt and Spider on an extended solo, and “Losin’ Streak”, which was recorded during the original Meanwhile sessions. A brilliant and raw tour de force from one of the greatest R&R lineups to ever hit the stage. A must for every Streetheart fan and music aficionado.